Matilda Goad is a London based creative consultant who makes spectacular spaces and visuals – she’s lent her magic touch to events, shop windows and now to her own product range. 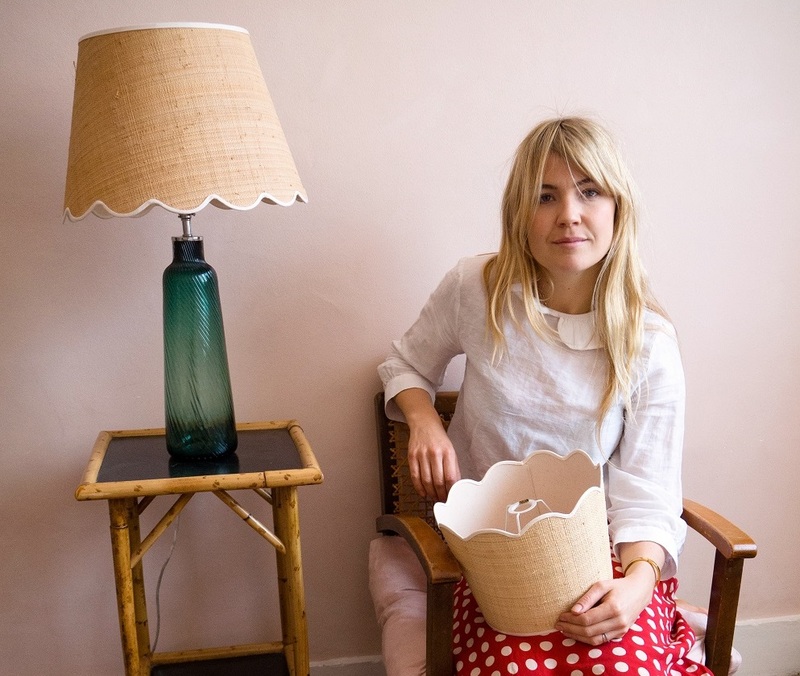 Her raffia scallop lampshades have been a huge hit within the interior design industry. 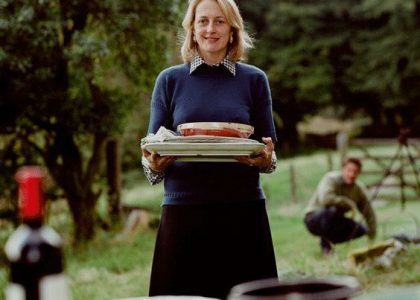 I caught up with her to find out a bit more about her career and what inspires her. I started working pretty much straight out of school after a year, first as a fashion stylist and then working with the photographer Venetia Scott. I loved it all but I especially loved creating the sets and sourcing props. I’ve progressed to dressing tables and creating engaging spaces for showrooms and events for brands such as Soane and Penelope Chilvers. I often create pieces specifically for clients and love the process of having an idea and finding the means to execute and produce it. How did you evolve from styling work to having your own product range? The way my line has evolved has been very natural; It began with the antique botanicals which I source and sell in acrylic frames that I sold initially to friends. The lampshades followed after I started to question why all lampshades had to have a straight seemingly dull bottoms! I suppose I create items I want or need. They must serve a purpose and not just be pieces that sit and get dusty. I like to surround myself with items that are beautiful and make the ordinary less ordinary. I enjoy finding artisans who specialise in the product or technique I am looking to produce, giving them my idea and watching how it develops, often learning much on the way. Whats been your favourite job to date? I loved working on my friend’s wedding last summer, I dressed the entire length of the open sided marquee to feel like a flower stall with various antique containers I’d bought up stacked at different heights and tons of plants bursting with colours and textures. In terms of my products its been very rewarding to see how well the lampshades have been received by some of the industries top names and used in amazing projects. What’s the most important lesson you’ve learnt in your career so far or most useful piece of advice? All over the place – I often start designing products from one element or material that I have found. I do often reference back to antique pieces. 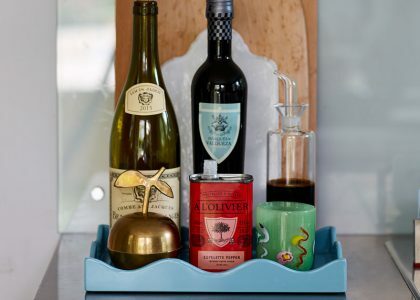 I think the craftsmanship and attention to detail is something that is often compromised these days – I love how women used to decant matches into beautiful tiny boxes to fit in their bags and you’d certainly never find milk in a plastic carton on the table! Who should we be keeping an eye on when it comes to interior products / style? I’m always on the look out for interesting lamps that compliment the shades and think what Viola Lanari is creating is so unique and sit so beautifully in a room. 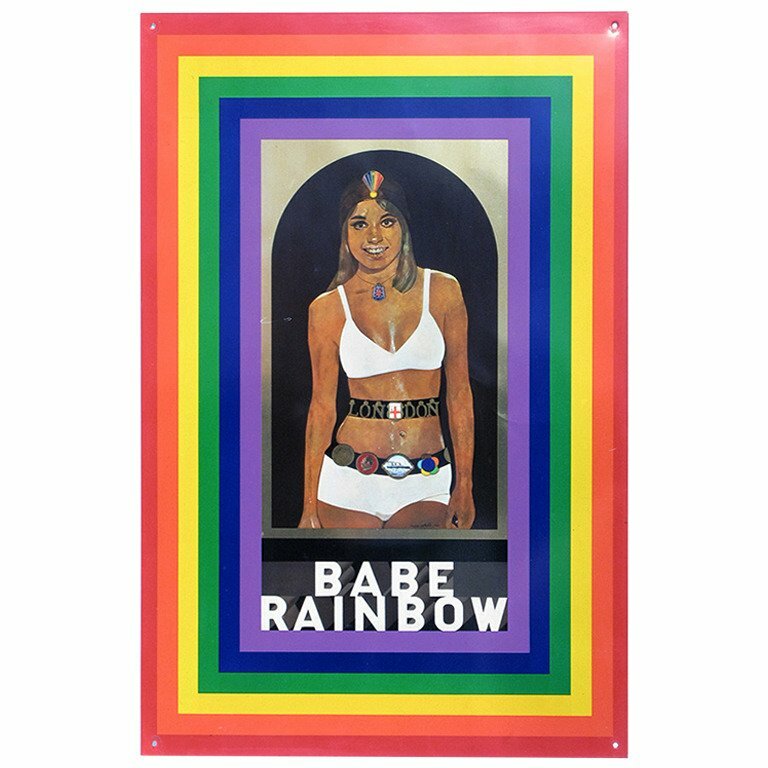 The Peter Blake ‘Babe Rainbow’ screen print on tin; I bought it in Portobello Market and it supposedly had initially been swapped in return for a membership to the Arts Club in the 70’s. Its a little bashed but hangs opposite my front door and makes me smile each time I arrive home. What piece of advice would you give to someone embarking on their own interiors project? I have a lovely light, white and airy studio that should very Zen but in reality I have piles of shoeboxes busting with samples, prints, colour charts, paints.. Im working on lot of different products at the moment using a mixture of materials so everything is out as I like to live with the items and see how they sit, age and compliment other things..